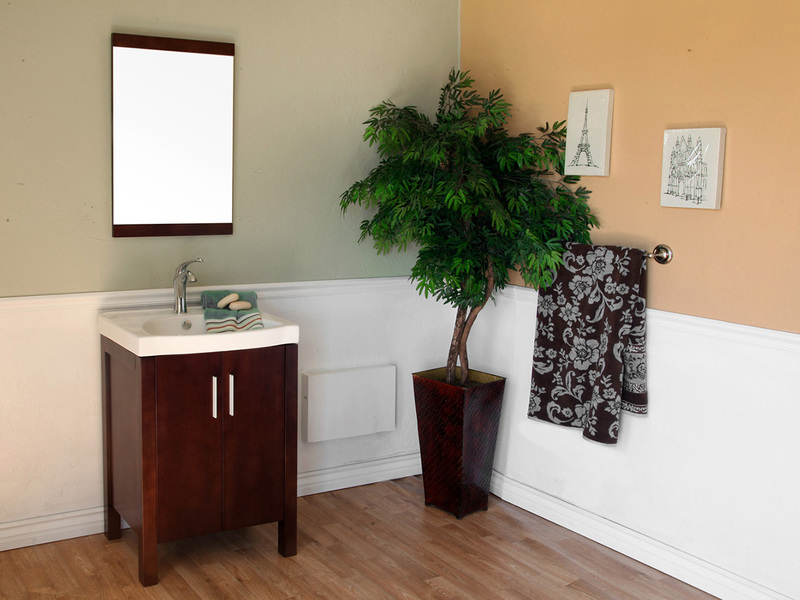 The Tripoli Single Vanity may be compact, but it features a lot of modern style with its clean lines, integrated sink and brush nickel hardware. 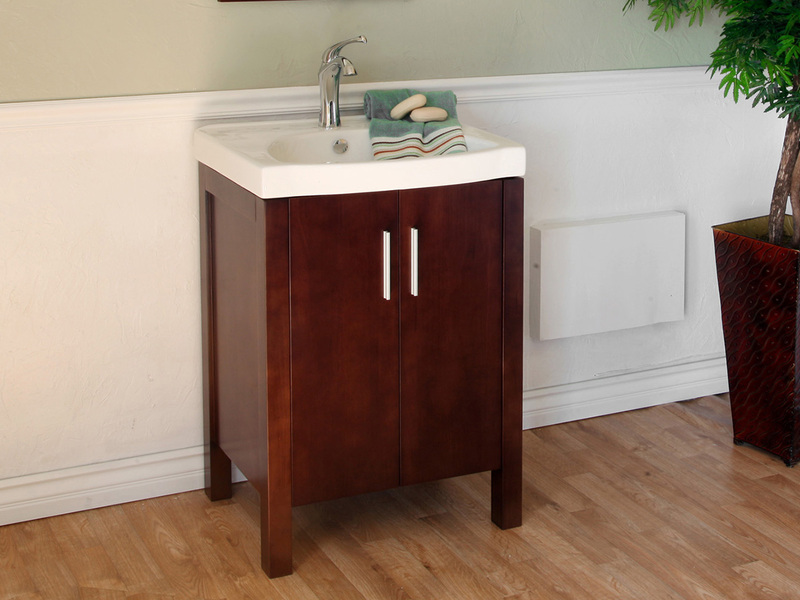 The beautiful walnut finish gives the vanity a warm feel without infringing on its clean modern look. 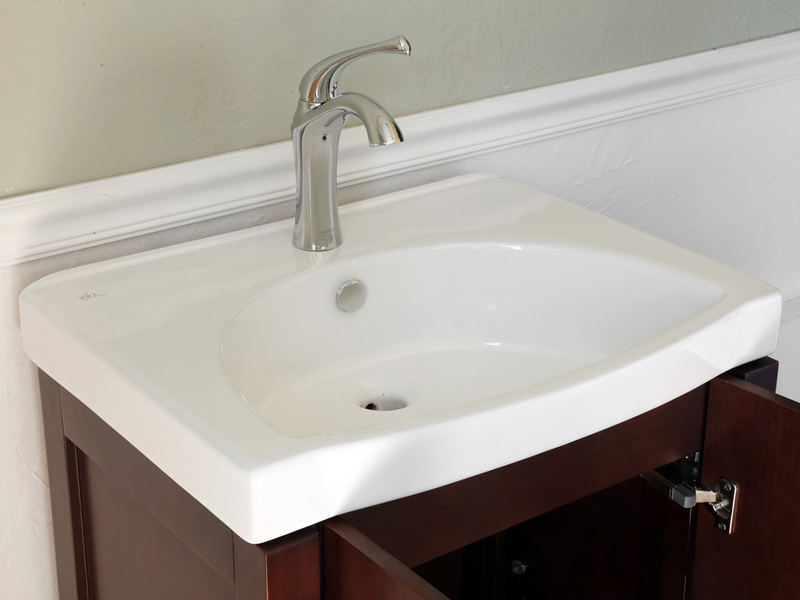 The integrated sink and counter top is made from white Vitreous China, providing a refreshing contrast from the richly colored cabinet. 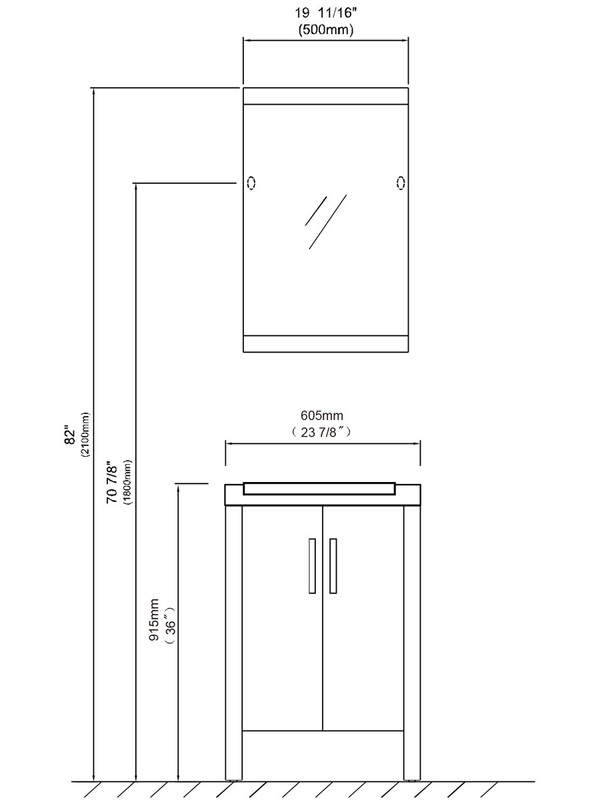 The double door cabinet features genuine Blum soft close hinges for controlled door motion, and a spacious interior for ample storage. 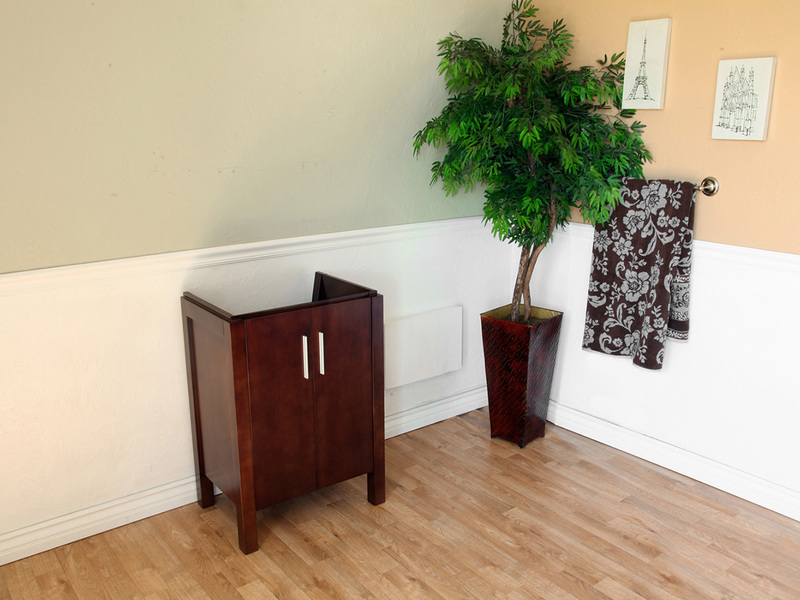 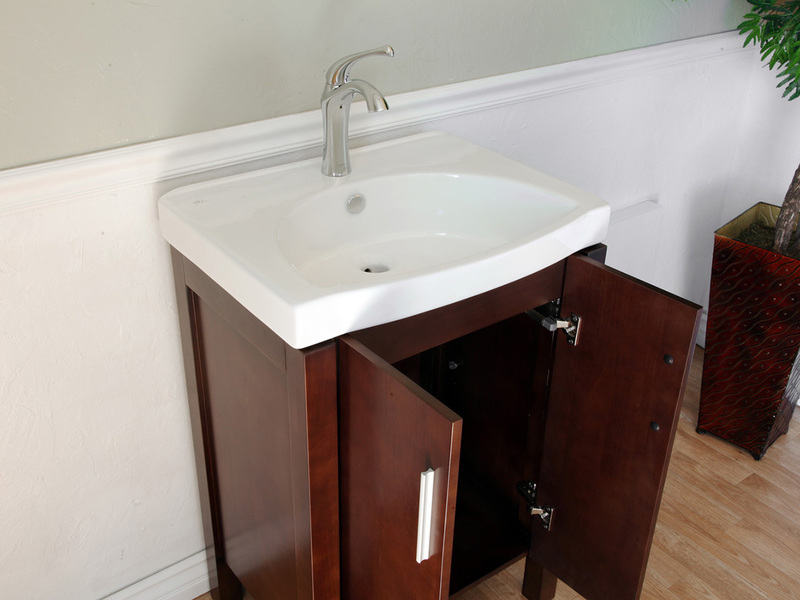 The vanity is protected from humidity with its water proof finish, preserving its great modern look. 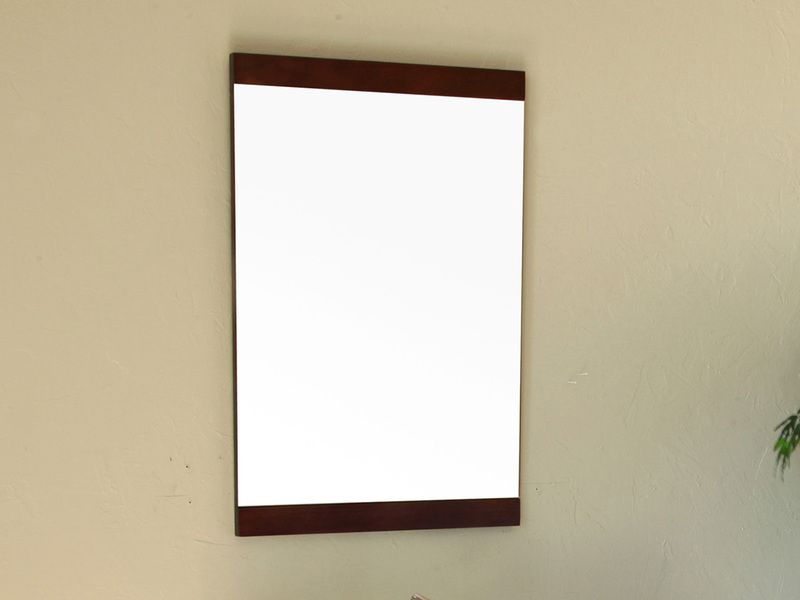 The vanity also has an optional matching mirror available through the drop down menu.